Players take turns spinning the spinner and flipping the brownie they think hides the matching number in this fudgy, find-it, memory game for preschoolers! Make a match and scoop it up with the spatula, all while on the lookout for special spins like burnt brownies, à la mode, and spilt milk! Collect five brownies first to win. • Includes 16 brownie game pieces, 1 spatula, 1 spinner, and 4 plates. • Player develops memory and numeral recognition skills. • No reading required for game play! 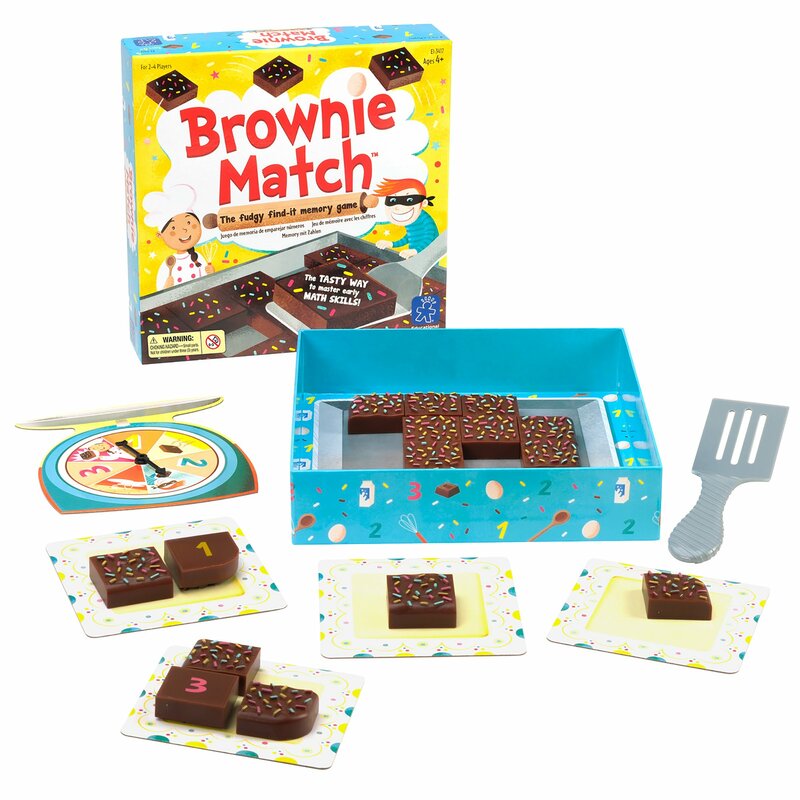 • Find and flip the matching brownies in this fudgy, find-it, memory game for preschoolers!